Dr Emmanouil Benetos aims to produce a multipurpose software tool capable of analysing music recordings and complex acoustic scenarios. Dr Emmanouil Benetos, a research fellow in City's School of Mathematics, Computer Science and Engineering, is one of seven academics across the UK to receive a 2014 Royal Academy of Engineering (RAEng) Fellowship. Dr Benetos is carrying out research in the Music Informatics and Machine Learning groups in the Department of Computer Science. He will be developing versatile algorithms which are able to separate and interpret sounds based on the way the human auditory system works. His fellowship aims to produce a multipurpose software tool capable of analysing music recordings and complex acoustic scenarios. From the beginning of 2015, Dr Benetos will be joining a research team at Queen Mary University London (QMUL). The RAEng Fellowships assist engineering researchers whose projects have the potential to bring radical innovation to their fields. The fellowships also provide outstanding researchers with financial support and mentoring for five years to enable them to establish independent careers in research. The RAEng believes that the fellowships address unresolved or critical issues in a specific engineering field and have the potential to lead to significant breakthroughs, benefiting both the research community and industry. "I'm very excited to have been awarded this fellowship from the RAEng and to know that the proposed project on audio analysis has been recognised by the Academy as having the potential to lead to significant breakthroughs. City's Music Informatics Research Group is currently at the forefront of research on large-scale analysis of music recordings, in particular through the £560k AHRC 'Digital Music Lab - Analysing Big Music Data' project which it is currently coordinating. 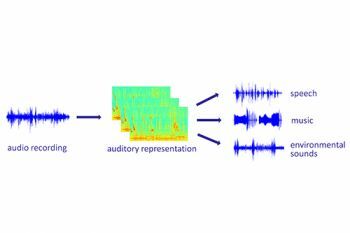 This fellowship (based at QMUL and located close to City) will enable me to continue working with City's MIRG and Machine Learning groups towards the automated analysis of music and environmental sound recordings." Please visit this link for further information on the RAEng Fellowship.